Welcome once more, friends, to the Sportsdome, where I’m legally allowed a moment to talk about the year in sports games. It’s been a bit of a mixed year with the lootbox plague sweeping through many popular sports series (hello, NBA 2K! ), but that allows for some quite notable titles to step out of the shadows. 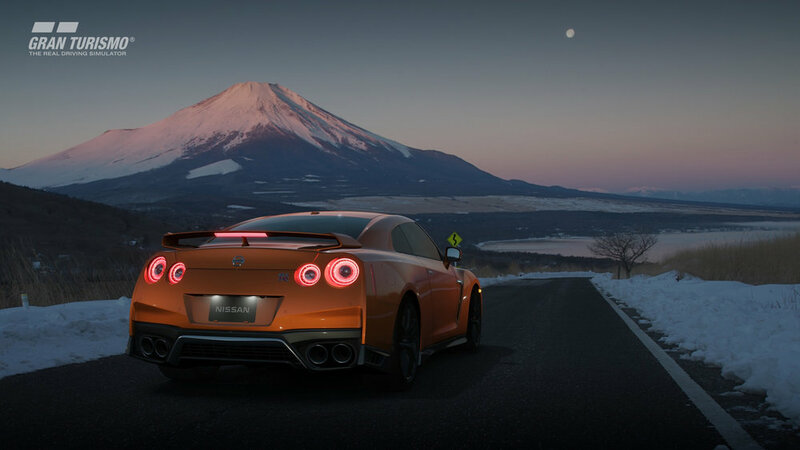 Let’s start with our gold-medal, trophy-holding, champagne-spraying winner: Gran Turismo Sport. In a year which saw a number of other strong racing games released— Project CARS 2, Forza Motorsport 7, DiRT 4, and F1 2017—Sony’s flagship franchise does the most for both diehards and the masses. It’s a bit pared-down compared with prior GT titles, but it’s fighting-fit, beautiful in action, and has the most enjoyable online multiplayer in a sports game to-date. GT Sport has one of the few online racing leagues where people don’t drive like jackasses. One of my colleagues asked why it’s not called Gran Turismo 7. I believe it’s because the GT Sport we got is a true reboot focused on online play. Instead of trying to build a better Gran Turismo 6, Polyphony Digital chose to craft the console-friendly iRacing that I desperately needed. I’m a terribly slow racer (as my 12th-placed qualifying and 10th-placed finishes online attest) but I’m always having so much fun that I look forward to the races to come. Our runners-up, meanwhile, come from different ends of the sports-game world. FIFA 18 is the best of 2017’s “traditional” annualized sports franchises, upping the quality of the single-player modes like The Journey: Hunter Returns, a sequel on last year’s groundbreaking narrative mode. The in-game visuals and experience have been improved, too, and the off-field search and negotiation for players has been improved by Mass Effect-style conversation trees, making the process much more interactive than years past. FIFA also provides the best build-a-team-with-cards mode in the genre. Somehow even its in-game purchases don’t feel exploitative! Pyre, our second runner-up—which, outside of its visual-novel trappings and well-crafted fantasy world—provides the best update on the NBA Jam formula since the original. All of the character classes feel distinct while offering strategic strengths and weaknesses to the team-based gameplay. There’s a smart challenge and difficulty system in all modes, and an intuitive but well-managed leveling system inside the story.